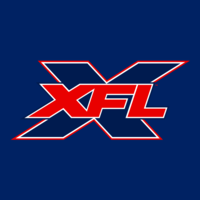 Speculation:Jim Leavitt To The XFL? Oregon defensive coordinator Jim Leavitt is abruptly leaving the program, according to a report from 247Sports' Duck Territory on Wednesday evening. No reasoning is known as of yet pertaining to Leavitt's departure, and Oregon would neither confirm nor deny Leavitt leaving coach Mario Cristobal's staff. Pure speculation right now but isn't this what Pep Hamilton did? He does have head coaching experience in South Florida with the Bulls. And check this: he has ties to Stoops when he was the co-defensive coordinator with him at K-State. Maybe Stoops convinced him to go to the XFL too? Re: Speculation:Jim Leavitt To The XFL? Leavitt would be a great hire. He’s going to have suitors. It’s up to him whether or not, he wants to be a head coach again. He is 62 years old. He does have a connection to Bob Stoops. So there’s that. Family has been out on the west coast. Born in Texas, with history in Florida. Him coaching in Tampa would create headlines after his USF controversy.